Chile boasts three FTZs which provide excellent manufacturing infrastructure for foreign companies willing to incorporate in Chile, including i) service land ii) ready-made factory buildings and iii) export facilities. There are several incentives available for companies in Chile’s free trade zones. This free zone invites multinationals from both commercial and industrial sectors such as imports, exports, retail, assembly, manufacturing, and industrial processing. Establishing a company in this Chile FTZ will however require sole shareholder companies to have i) at least US$5,000,000 of share capital and ii) to provide business references. This Chile tax-free zone invites companies from both commercial and industrial sectors to conduct a diverse range of commercial and industrial activities, including i) import/export ii) retail iii) assembly iv) manufacturing and v) industrial processing. This Chile economic zone invites multinationals from the business sectors of manufacturing, exports, and minerals trading. How to register a company in one of Chile’s FTZs? Company formation in a free trade zone in Chile does not differ with standard procedures to incorporate a standard limited liability company in Chile. However, Healy Consultants will apply after it to the free zone authority in order to obtain user status for the free zone. What are the requirements to incorporate in Chile Free Trade Zones? The FTZ authority will request all documents obtained during Chile company setup. 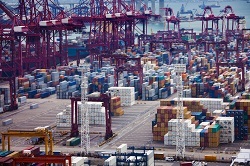 Additional requirements may apply to conduct operations in some FTZ. For example, the Iquique Free Trade Zone authority requests specifically companies with a single shareholder to have over US$5,000,000 of share capital.